We had a fantastic day in Fátima yesterday. There were a lot of pilgrims, but it wasn’t too crowded in the early afternoon, and Alex really enjoyed himself. 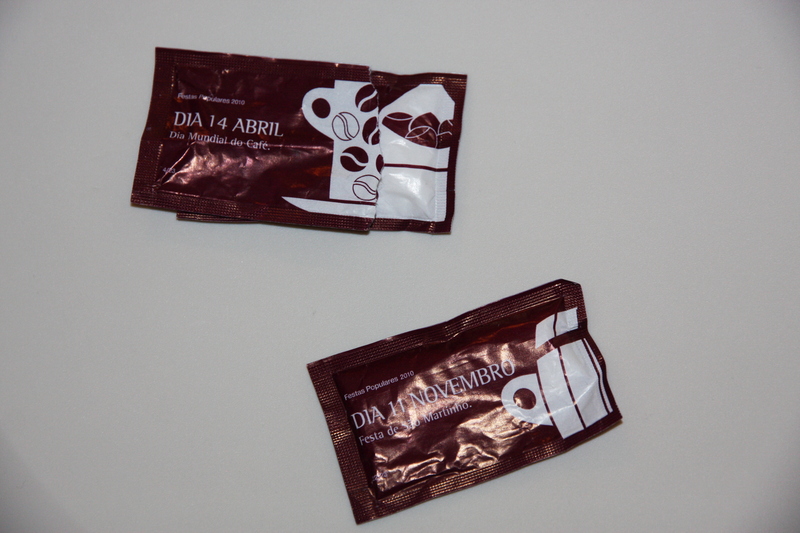 This morning, I had a galão (espresso with foamed milk) at our local café, and finally took a photo of the interesting sugar packets we’ve been seeing all week. Each packet lists a different Saint’s Day or celebration of some sort. I especially like April 14—International Coffee Day! This entry was posted in coffee and tagged coffee, espresso, Fatima, galao, latte, Lisbon, pilgrim. Bookmark the permalink.